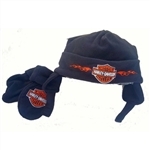 Shop our selection of Harley-Davidson baby clothes, kids apparel including t-shirts and baseball hats and western hats for men. 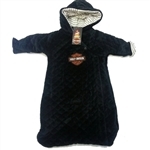 Check back often for new products. 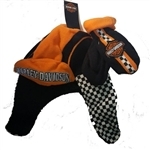 A true biker knows that nothing compares to a Harley-Davidson, and they show their pride by outfitting the entire family in quality Harley-Davidson clothing. 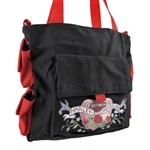 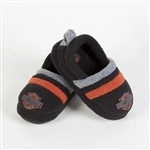 Everyone from newborns to adults love to show off their Harley pride. 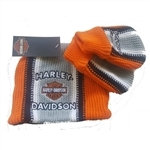 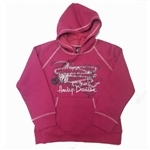 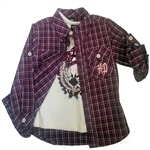 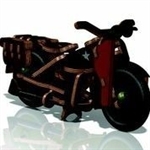 We stock a large selection of Harley-Davidson clothing for the new generation to start them off right, everything from baby gift sets to boys and girls t-shirts, along with a few items for the adults, like cowboy hats and duffel bags.